Innumerable monasteries standing side by side, combined with fine rock-cut churches, stone-carved tables and benches and beautiful original wall paintings… The unique Goreme Open Air museum is an elevating sight to behold. With most of the churches here harking back to the 10th, 11th, and 12th centuries, the past is all too easy to relive. 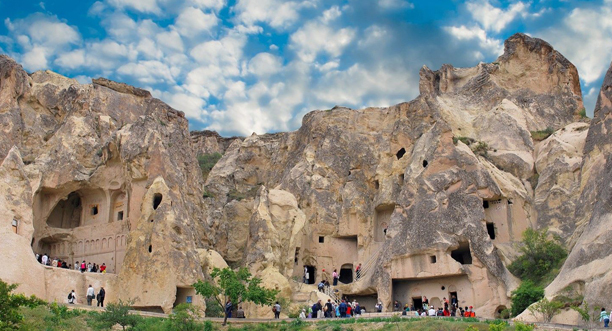 With Kesari Tours, discover a landscape that would not be out of place on a strange planet… Devrent Valley, Cappadocia, abounds with different rock formations that are as beautiful as they are outlandish. 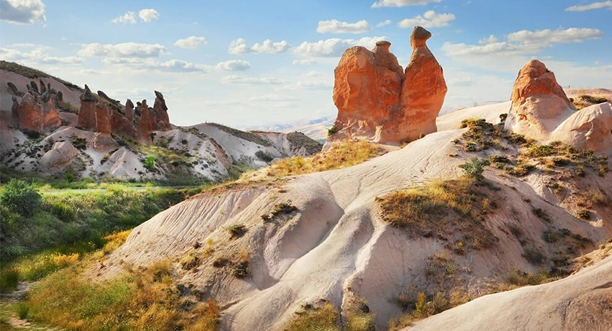 Small fairy chimneys, animal shaped rocks, clouds and even a rock pillar which looks like the Virgin Mary, holding Jesus Christ… your imagination is the only limit! 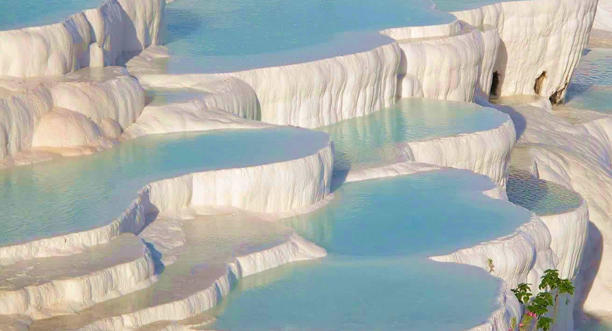 Pamukkale which translates to Cotton Castle in English is named for its famous terraces consisting of travertine. These are carbonate minerals, which have been left by the flowing water. This natural wonder has been a natural bathing spot for centuries, known for its hot springs where the water is warm and rich in minerals. 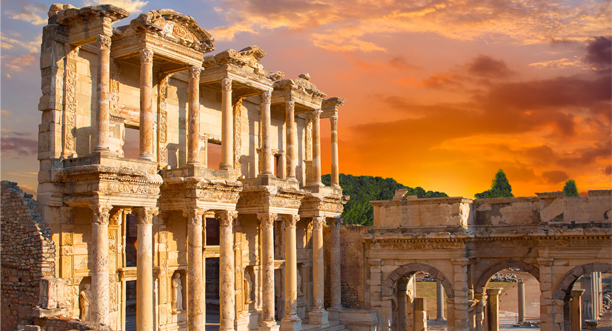 Known as a ‘spa town’ since the Roman era, the experience is enhanced by the ruins of Hierapolis, the marbles columns of the Sacred Pool and the Roman theatre. An ancient Greek city on the coast of Ionia, Ephesus is famed for the Temple of Artemis, which was one of the seven wonders of the Ancient World. Built in 10th century BC, it boasted many monumental buildings including the Library of Celsus and a theater that could seat 25,000 spectators. Naturally its ruins are a much-loved international and local tourist attraction, as you will discover with Kesari Tours. Beautiful on the outside, the treasures that lie within the Topkapi Palace museum are even more priceless… Sacred relics such as the sword, bow and footprint of the Prophet, the staff of Moses that was used to part the Red Sea, the cooking vessel of Abraham, the headgear of Joseph, the sword of David and more. The millennia simply vanish in the face of such invaluable relics! Next Post The Melting Pot that is Malaysia!